It may not surprise you to learn that two recent Cooper graduates, Rich Watts ('08) and Dave Kyrejko ('07) belong to a small Brooklyn-based group that has designed and built its own premium vodka distillery from scratch. The idea falls well within the skill set and fantasy of many a Cooper graduate. Nor might you be surprised to learn that, being from Cooper Union, they have done the work so well that they were just recently selected for Forbes' "30 under 30" list of upcoming entrepreneurs. But would it surprise you to learn that both Watts and Kyrejko graduated from the School of Art? "The bulk of my work at Cooper was graphic design with some electronic sculpture-making," Rich Watts says. 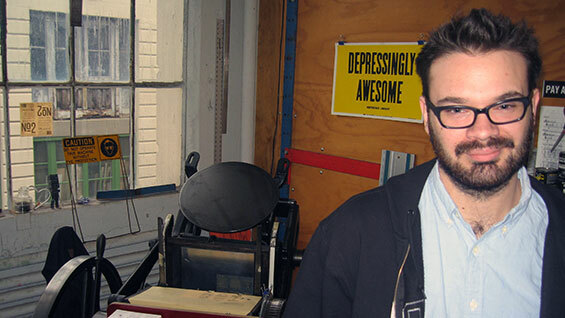 Dave Kyrejko focused on photography and print-making. In 2010 Kyrejko started a group called The City Foundry as, "a collection of vetted people to collaborate with on projects," he says. Its website defines its very Cooper-like mission as "improving small-scale manufacturing processes through the blending of science and art." 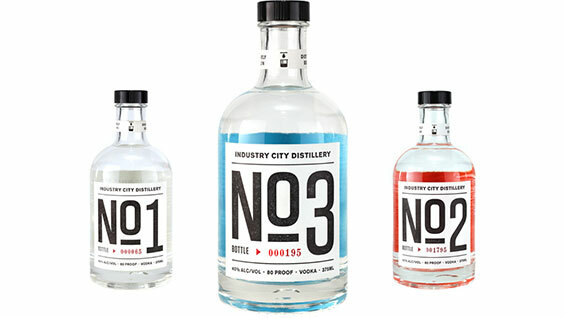 Conceived as a platform for multiple business ventures, the group of five bearded young guys coalesced around establishing Industry City Distillery, where everything would be narrowly focused on making the best vodka they possibly could. "The distillery became the way to make the Foundry work," Kyrejko says. Located in a vast warehouse-turned-industrial space in Sunset Park, Brooklyn, The City Foundry has sweeping views of the New York Harbor. The distillery equipment only takes up about a third of the 6000-square-foot floor space. The rest of the space contains a laboratory, a kitchen, a print shop where Watts designs and prints all the labels and a full machine shop. Much of the equipment for the distillery was custom-built in-house. "Nothing exists to do specifically what we want to do at the scale we want to do it," Dave Kyrejko says. "We have equipment designed specifically for the final product and that makes the product better. You can buy pre-built stills but you will not get the same quality product that way." Besides, says Watts, the cost would have been prohibitive, like the $1.25 million quote they got for a laboratory-grade fractional reflux still they needed. So instead, they built it themselves. "It's only material costs for us," Watts says. 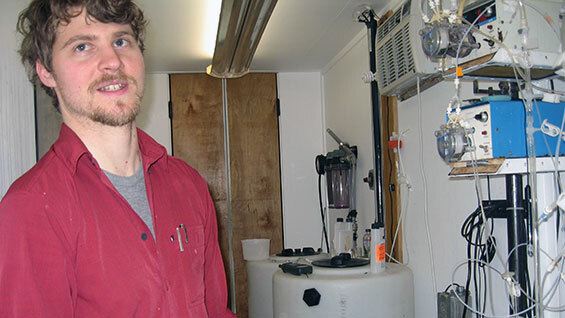 You will most likely find Dave Kyrejko, whose interest in creating carbon dioxide for aquatic ecosystems led to the distillery idea, in the reactor room. That's the temperature-controlled room they built off the floor along one edge of the space. Here, where even the lights are custom-made, he watches over tens of thousands of BB-sized yeast beads working in a process that Kyrejko says is unique to ICD. 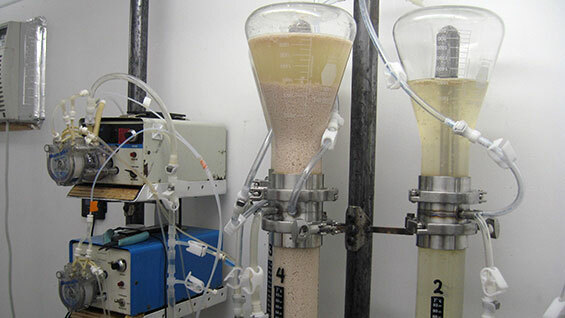 Instead of mixing loose yeast into a grain or potato mash as the fermentation system, Kyrejko first mixes the yeast with an alginate to encapsulate them in a kind of molecular net. They float inside interconnected glass tubes, arranged vertically, feasting on a liquid beet-sugar that they turn into a low-alcohol "wash." The yeast beads are a major improvement on the mash system because, says Kyrejko, "The beads last much longer, up to a month and half. There is no downtime either. There is no cleaning cycle. We can be continuously fermenting." The wash then moves to the custom-built separating still, modeled by ICD on an industrial-sized still but scaled down to approximately the space of a household boiler. The alcohol gets flashed off the wash and then transferred to the fractional reflux still -- again, built in-house -- where the different alcohols and flavor compounds are separated and sorted by boiling point in order to blend a consistent flavor. About five still runs blended together with water go into one bottling run. It's the blending of the results where art meets science. "The goal is to meet a certain flavor profile," Watts says. The first three batches, of which the second and third were sold commercially at local stores and bars, focused on eliminating the negatives. "We want to remove the burn on the throat and the unpleasant smells like isopropyl compounds that often accompany vodka," Watts says. ICD are satisfied they have accomplished this and so now with the third batch they are soliciting consumer's feedback. Based on this they hope to lock up the flavor profile with batch number four. Their goal is to move from small batches numbering in the hundreds of 375ML bottles up to 4000 750ML bottles a month by the end of the Spring. Both Dave Kyrejko and Rich Watts agree that Cooper Union set the stage for their polymath skill sets. "Having the flexibility at the art school to pursue everything that interested me was important," Watts says. So maybe it is not so surprising that, when asked what occupation he will put down for his 2012 tax form, Dave Kyrejko thinks a bit and says, "engineer." "ICD represents a dramatic departure from typical beverage-industry distillation processes," Kyrejko says. "We started on the ground floor by asking ourselves, 'what makes vodka taste good?' and we set out to challenge ourselves. We wanted to make a delicately balanced vodka without charcoal filtering, using only distillation. And we wanted to use technology to make the process cheaper and more effective. And we have."